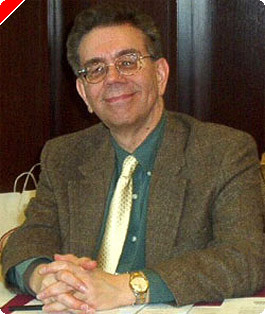 This article originally appeared on Pokernews.com, October 23, 2006. Last article, we talked about some of the tricky play problems that arise in high anchor positions. This time, we'll start to look at doubling strategy in these common situations. Take a look at Position 1. In Position 1, Black has escaped his back checkers and White is holding the 5-point anchor. Black's trying to bring his checkers on the midpoint without leaving a shot. White hopes to hit any blot that Black is forced to leave, or, alternatively, win the race by outrolling Black later on. Black has the advantage, but White is not without resources. Should Black double? Before we answer that question, let's look at the most important feature of the position: the pip count. Black's pip count is 119. (To calculate a pip count, just multiply the number of checkers on a point by the value of the point, and calculate the sum for all your points. Four checkers on the midpoint, for example, contribute 4 * 13 = 52 to your pip count.) White's pip count is 131, so Black has a 12-pip lead, which represents about 10% of his pip count of 119. Here, however, White has more ways to win than just throwing bigger numbers in the race. There's a very real chance that he could hit a shot, and that possibility adds a few percent to his winning chances. In addition, he usually has a better bearoff position than Black when the race actually starts, since he has the luxury of filling his board smoothly, while Black may be left with a gap on his 5-point. The net result of all these factors is that Black's winning chances are actually under 70%, and he doesn't quite have a double yet. Clearly, Black needs more than just a minimal racing lead to double in these high anchor holding positions. Just how big a lead does he need? Take a look at Position 2. The pip count is now 119 for Black and 139 for White. Black's lead is now 20 pips, about 16% of his pip count. In a straight race, that lead would mean a double for Black and a clear pass for White. Here, Black just has enough to double. White, however, still has an clear take. His combination of racing chances and hitting chances enable him to win slightly more than 25% of the time. As an added bonus, he'll almost never be gammoned from this position, so as long as his winning chances stay above 25%, he can take. How big a lead does Black need to have before White will have to pass? Let's move on to Position 3. Position 3 is similar to Position 2, but I've moved two of Black's checkers from the 13-point to the 3-point, a distance of 10 pips each. The pip count is now 99 for Black and 139 for White, a lead of 40 pips. This must be a pass for White, right? Wrong! It's still a take. 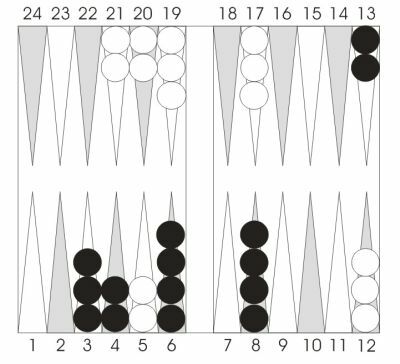 In fact, Black's winning chances are only about 1% better in Position 3 than Position 2. How can this be?? What's happening is that Black is gaining one asset (racing chances) but losing another asset (timing) simultaneously. 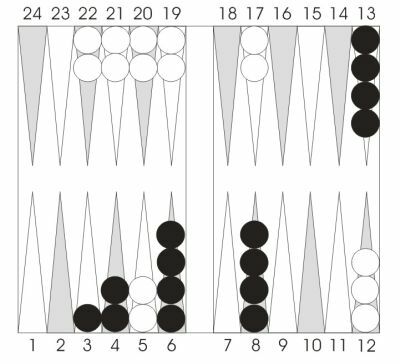 If we compare Position 3 to Position 2, Black is now much less likely to lose a race, but much more likely to get hit as he tries to clear the 13-point. The two assets (racing chances and timing) are moving in opposite directions at about the same rate. Black's double is solid in both positions, but White has a clear take in both cases, although for different reasons. In almost all normal 5-point holding games like the ones shown here, White has a pretty easy take. Black needs about a 15% lead in the pip count to have a good double. Remember those rules, and you won't make many cube errors in these common positions. Next time: More About High Anchor Games.